Definition at line 48 of file ctx_c.c. Definition at line 28 of file ctx_c.c. Definition at line 29 of file ctx_c.c. Definition at line 27 of file ctx_c.c. Definition at line 30 of file ctx_c.c. Definition at line 264 of file ctx_c.c. Referenced by CtxClose(), and CtxOpen(). Definition at line 305 of file ctx_c.c. Definition at line 57 of file ctx_c.c. Definition at line 73 of file ctx_c.c. Definition at line 236 of file ctx_c.c. 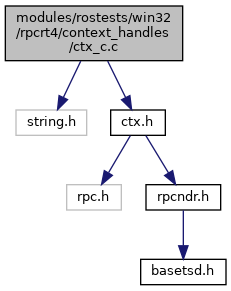 Referenced by CtxClose(), CtxHello(), and CtxOpen().